Ditte Isager/©Hachette Book Group, Inc. The question What should we have for dinner? has never been so difficult to answer. A new exhibit at the American Museum of Natural History presents a survey of the diversity in tastes, growing techniques, and methods of cooking that have satisfied appetites across cultures and centuries. It’s hard to consider this broad range of agricultural and culinary trends past and present and not come to the conclusion that ours is one of the more transformational periods in the history of food. Genetic modifications to crops, which were the subject of the recently defeated Proposition 37 ballot measure in California, represent only one way in which our foods are changing. More broadly, our entire approach to eating is being modified. That monumental shift is due largely to a growing consciousness of the connections drawn between food and health being made in the context of strained food supplies in a changing climate. 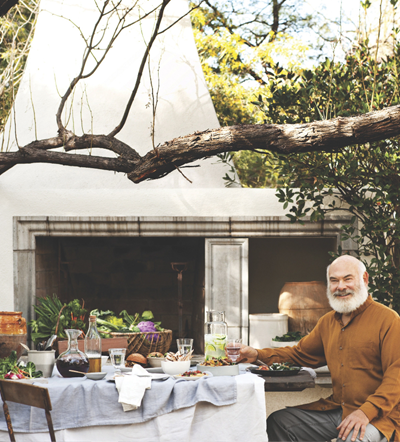 The health and wellness proponent Dr. Andrew Weil recently published a cookbook called True Food in which he argues that meals made from sustainable and wholesome ingredients can be both flavorful and easy. Dr. Weil spoke to PLANET about the common sense principles that he and his partners Sam Fox and Michael Stebner have followed in building a small empire of health food restaurants and the larger currents that have informed his thoughts about food in a world waking up to a new era of eating.